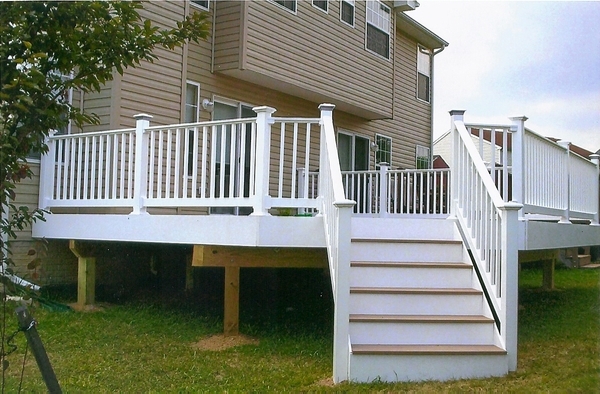 Deck resurfacing in Maryland is something that all homeowners should do. If you have a deck, why waste your time and make it unusable? Fortunately, that’s where Freedom Fence and Home come in. We are the Maryland deck resurfacing experts. We are located in Northern Baltimore County and know a thing or two about resurfacing decks. I’m sure you’re wondering why you would need your Maryland deck resurfaced. Well, resurfacing your deck can help extend the life of it, regardless of the materials used. Once the deck resurfacing is complete, not only will your deck be beautiful, but it can extend the life of your deck as well. The process of resurfacing your Maryland deck begins by removing some of the older planks that may be causing you trouble. We then replace the older planks with newer ones to make your deck safe and structurally sound. Learn more about the deck resurfacing services available from Freedom Fence and Home and Decks by contacting us at 443-271-6841. We can discuss your deck and any other outdoor project you are planning. When trying to decide to build a new deck, the hard decision is not deciding to undertake the home improvement project or not, it is trying to choose between wood decking and low maintenance decking! There is no right or wrong answer. Both decking options provide a great way to add both beauty and value to your home. This entry was posted on Wednesday, February 12th, 2014	at 3:51 pm	. Both comments and pings are currently closed.